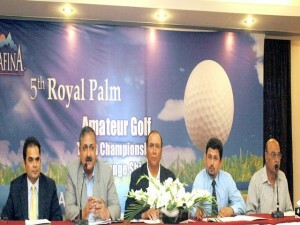 Golf is not only being played in the rich countries; golf is also played in Pakistan as well. Different golf Tournaments held in Pakistan in which Pakistani players show that they are also professionals and shows that Pakistan is not behind from any other country. In a recent tournament Lahore team which was led by Haroon Arshad beat the high class players of Karachi and that team was led by Imran Habib. After this tournament Lahori team is known as lahori lads. Players who were best in Lahore team were Amir Mehmood, Muhammad Leghari, Asad Agha etc. and best player from Karachi team was Asad Khan. Prize distribution ceremony was attended by lt Gen(R) Muhammad Tariq, Pervez Qureshi etc.